A missing person thriller doesn’t need that element, but it adds so much emotional depth to the story (and provides some misdirection in mystery, but that’s secondary), helping pull some focus away from the screen gimmick. Like a better version of an Apple or Facebook commercial, Chaganty serves us a reminder of the way our devices have captured and chronicled our lives and lets that simmer in our brains as we watch the rest of this entertainment-focused film unfold. There are holes to poke in this mystery like so many mystery-driven films before it, yet Chaganty and Ohanian have found a crisp, clean means of hooking their audience. Watching the film feels akin to that high you get when you are hunting for answers through Google and find them, or dare I say stalking someone on social media and discovering the key details about them. The story follows David running his own digital investigation alongside the detective on his case (Debra Messing), setting David up as the audience’s mirror in a way a character hasn’t ever really done before. In a way, “Searching” is the closest the genre has come to merging pure fiction with a choose-your-own adventure mystery. We experience the illusion of being in control of the story because David’s ideas of where to look next or what guesses to make so closely resemble the choices we’d make on our own under the same circumstances. Even watching David figure out how to get into Margot’s various accounts, working his way backward, is a familiar experience to so many yet not one we’ve ever seen reflecting in a movie before. That’s a unique thrill and Chaganty nails it. 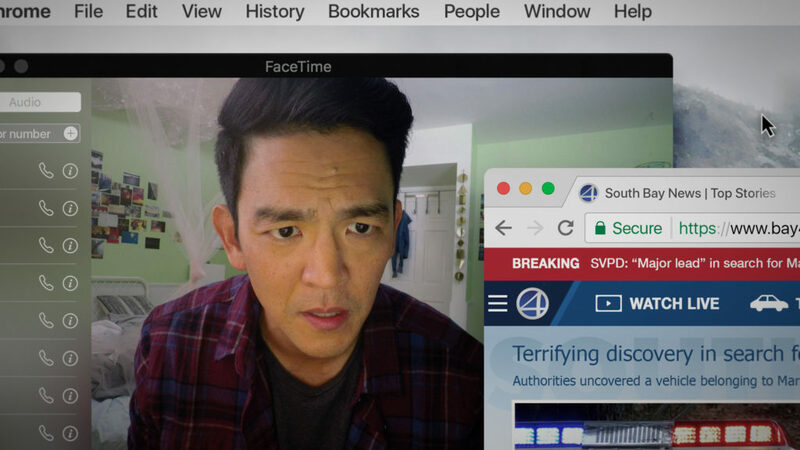 Between offering such a fresh viewing experience and its unexpected emotional angle, “Searching” overcomes the ploys put in place to keep the whole story happening on a screen and any issues one might have with the core mystery. They are obvious but forgivable in service of some really thoughtful, smart writing and craftmanship that ventures into new forms of storytelling.